“Find a good spouse, you find a good life-and even more: the favor of God!” Proverbs 18:22 (MSG). Thank God for showing His favor by giving me you! I started noticing in year one – People like me better when you’re around. Thanks for completing me. Finally realized around year three – I am better when you’re around. Thanks for making me better than I am. Two are better than one, because they never quit at the same time. Thanks for helping me persevere through tough times. It’s OK to not iron the tucked in portion of the shirt. Thanks for helping me to not sweat small stuff. A mother’s voice is a powerful weapon (Proverbs 31:26). Thanks for being a great mom to my boys. Unselfishness is a pre-requisite for success in almost everything, especially marriage. Thanks for demonstrating how to put others first so clearly. I’ve noticed, families that serve together make a greater impact. Thanks for serving along side me and opening my eyes to new opportunities everyday. Marriage is humiliating, b/c you can’t hide who you really are. Thanks for being patient and forgiving. Beauty is only skin deep, and I’m thankful for a wife who’s smokin hot, inside and out. Peach cobbler and red meat are still my favorites. Thanks for always going out of your way to know my favorites. “Lane, you know we only hired you, b/c we met your wife.” Thanks for inspiring confidence in me and others. I’m a better man because of you. It would have been easy to go on, but I’ll save the other 38+ reasons for future years. 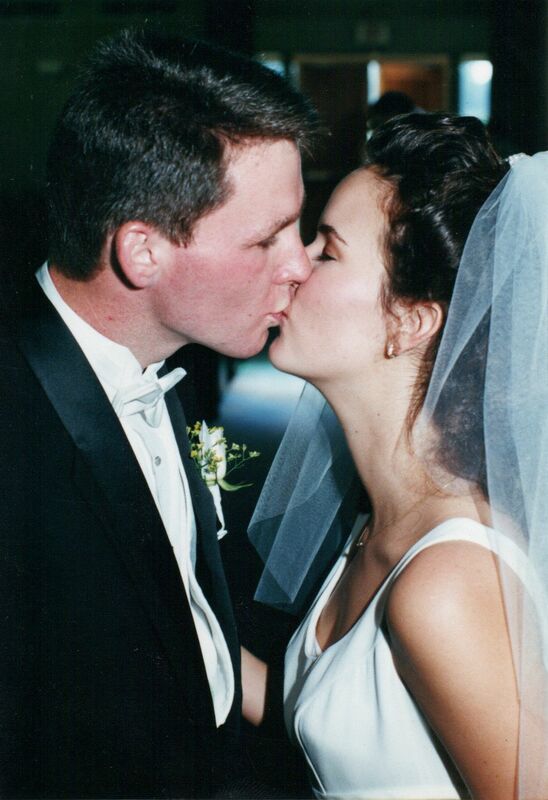 Happy Anniversary Heather Johnson Corley! Posted on July 31, 2011, in Marriage & Family, Reflecting. Bookmark the permalink. 3 Comments. Awesome. Good job Lane! Great true insights. We both married up my friend.